The cutting-edge tech is letting us customize cures and so much more. Advances in medicine and technology are revolutionizing what it means to be human. By providing us with gene editing tools, such as CRISPR, we’re well on our way to personalizing the medical revolution. CRISPR provides a way for us to alter gene expression in particular cells, based on need. Up until recently, the process was very difficult to execute. It took many years to develop precision when altering gene expression. With the latest technology, the desired precision can be obtained in just a few weeks. 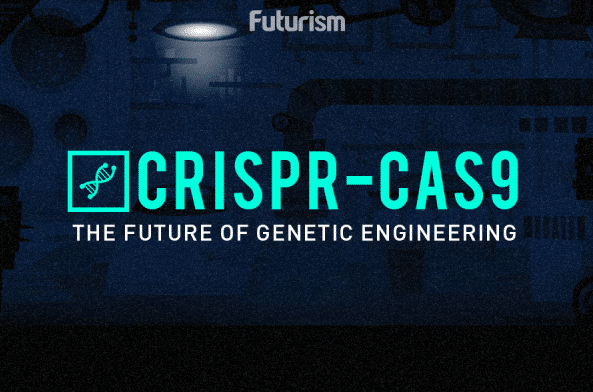 CRISPR, and other technologies like it, are shaping the future of medicine. When all possible treatments had failed, the parents of Layla, a 1-year-old with leukemia, sought help from new technology developed by Cellectis — a biopharmaceutical company based in Paris, France. The gene editing therapy, which was still experimental, had been utilized once before in a patient with HIV. Layla and her parents have immunologist Waseem Qasim and his team to thank. While the treatment was approved for Layla under her particular circumstance, the Great Ormond Street Hospital for Children NHS Trust in London intends to continue the trial in 10 to 12 patients in the upcoming year. Several months after the procedure, Qasim notes Layla is doing well. Physicians and scientists worked together to give Layla immune cells from a healthy donor that had been modified with a gene editing tool. In this case, TALEN — a DNA-cutting enzyme — was utilized to modify the donor T-cells so that they would not attack Layla’s own cells. In order for the treatment to work, a patient’s immune system is essentially destroyed and replaced with the modified cells. However, this is not a permanent fix: it’s just a temporary solution until a matching T-cell donor can be found. While Layla’s doctors believe she is in remission, only time will tell if this was a “one-off” fix or a case that may need revisiting. Additional trials are needed so physicians and scientists can better understand how gene-editing can benefit patients, and treat diseases other than cancer. Treating cancer isn’t the full extent of gene editing by any means: we can halt the spread of malaria by looking at mosquitos, bring back species gone extinct by the unforgiving hand of human industrialization, or even restore vision in patients. With the gene editing, it seems the possibilities are only the beginning.